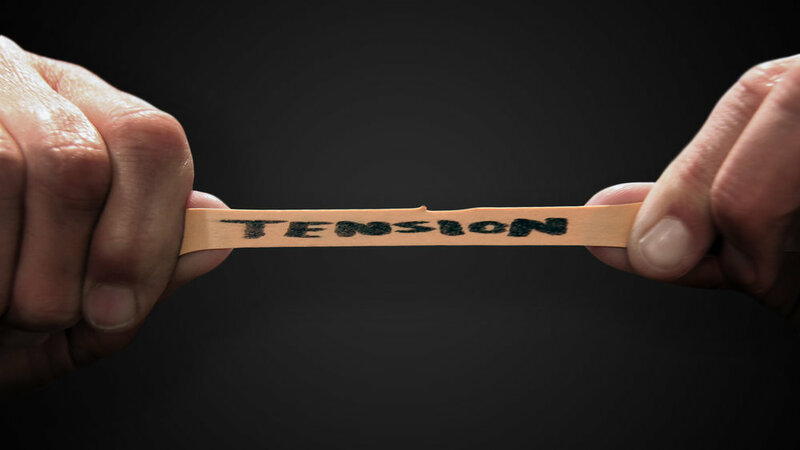 Typically, we think of tension as a bad thing; something we need to get rid of. However, there are some things in life that are not necessarily problems to solve but rather tensions to manage. When it comes to change and spiritual growth, the tension is between what we're responsible for and what God's responsible for. Sometimes we can find ourselves thinking that God is absent because he's not magically making us better and holier. Then other times we start relying on our own strength and thinking that we can change our own hearts. But both sides land us in a dangerous place; living in the tension is where change really happens. Have you found yourself falling too far toward one side of this tension between our part and God's part? What were the warning signs? How did living out of balance affect your interactions with God or with others? On your journey of faith, what has changed in you or about you? How have you seen what Jesus talks about here in action through that change? Remaining is active, but God is the one who produces "fruit" in our lives. Have you heard our life with God summed up this way before? How does this picture change or form your understanding of this tension? Jodi pointed out that we don't change once in our lives and then live perfectly from there - success is about progress not perfection. How does this sit with you? Do you have a hard time celebrating your own small steps? Jodi said that Prayer, Reading/Memorizing the Bible, Serving, and Generosity are exercises that we need to train our soul with. If you've worked on one of these intentionally before, how did it affect your daily life? What's an area of your life or your heart that you want to see change and become more like Christ? How might one or a few of these exercises start to train your soul in a new direction in that area specifically? Soul training can get off-track when it's guilt-driven and not grace-driven. Where do you get off-track and find guilt replacing grace? How can you tangibly stay grace-driven as you train your soul? How can the people around you help you? Pick one of these soul training exercises to work on this week. Set a tangible goal, write it down, tell a friend, and go after it! Keep track of how it starts to change the way you interact with God and others.